Maybe we should pump the brakes just a little on the whole Guardians of the Galaxy 3 thing. Sure, we have every reason to celebrate James Gunn being re-hired by Marvel, but that doesn’t mean things are changing overnight. 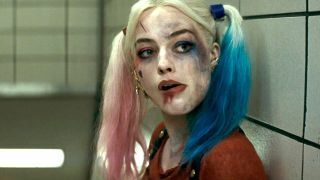 The director is still attached to a new Suicide Squad, one that is now apparently going to be a bit more of a shake-up than we first thought. Even for MCU fans, its schedule could push back any potential Guardians of the Galaxy 3 release date. Speaking to JoBlo about Gunn’s DC project, simply titled The Suicide Squad, DC producer Peter Safran opened up about which movie out of Guardians 3 and Suicide Squad is a priority for the director, and what we could expect to see from the new Suicide Squad movie. That puts a spanner in the works a little for anybody expecting Guardians 3 to shoot out of the blocks and accompany the rest of the new Marvel movies arriving early in Phase 4. The Suicide Squad has a tentative release date of August 2021 according to THR. That puts a Guardians of the Galaxy 3 release at 2022 at the absolute earliest. But back to The Suicide Squad. That name should set alarm bells ringing for anyone anticipating a sequel. It’s (probably) not going to be one. Safran explains: “We don’t call it Suicide Squad 2 because it’s a total reboot, so it’s The Suicide Squad.” James Gunn is going to get a clean slate of sorts and, hopefully, carte blanche to pick his roster as he’s both on writing and directing duties. Suicide Squad released in 2016 to mixed reviews, so any possible reboot puts it right up there with the quickest hit of the reset button in movie history. And I thought having three Peter Parkers in ten years was pushing it! Still, fans have every right to be excited by the return of the group of ne’er-do-wells, even if it means waiting a few more years for Guardians 3. Here are all of the DC Extended Universe movies heading your way in the near-future. There's more than you might realise!